Student exhibitions are held at the University Gallery, complementing the annual Graduate show. 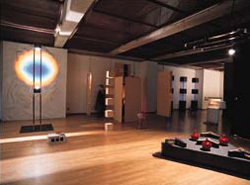 Graduate students also hold solo and group exhibitions outside the university and take part in competitive exhibitions. Undergraduate and graduate students participate regularly in concerts and performances, both inside and outside the University. 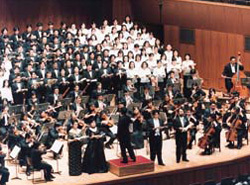 Students specializing in performance are required to take part in University concerts and to give a graduate performance. This department assists students with the arrangement of extra-curricular activities as well as providing advice in matters relating to health, accommodation and careers. Staff of this office, together with the Overseas Student Center, provide support to the university’s overseas students. The University student festival, held in early autumn, is an important event in the university calendar. It gives students the opportunity to showcase their work to the public, strengthening the university’s ties with the local community. These are also a number of clubs and activity groups operating within the university. These include several cultural and art-related clubs and sports clubs. These are open to all students. The university also has an on-campus gymnasium and tennis courts. The university owns two halls of residence. One, primarily for Japanese students, is located in Adachi Ward, in Tokyo. The other, designed for overseas students, is located in Matsudo, Chiba Prefecture. The latter facility provides thirty-six single rooms, six rooms for couples and two family rooms.